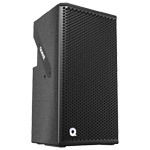 A little box with big potential, the HPI8i has a number of features designed to increase performance and versatility for a professional sound installation environment. 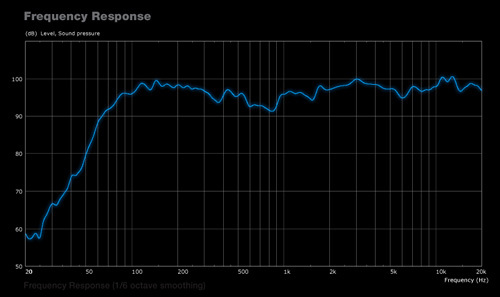 A key feature is the Quest designed asymmetrical high frequency wave guide. 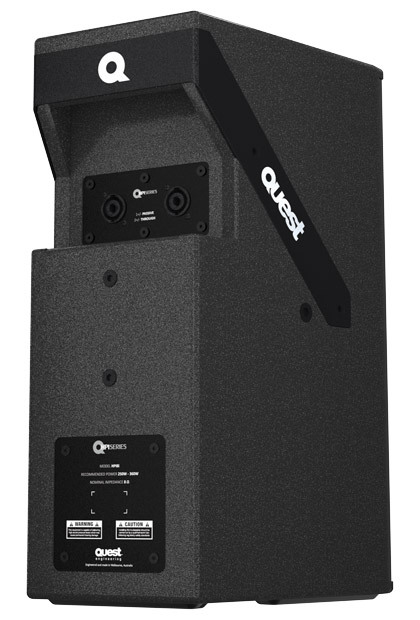 This feature helps lower the reverberant problems in many venue environments that degrade voice intelligibility, by focusing the sound to where it is needed and away from walls and ceilings. 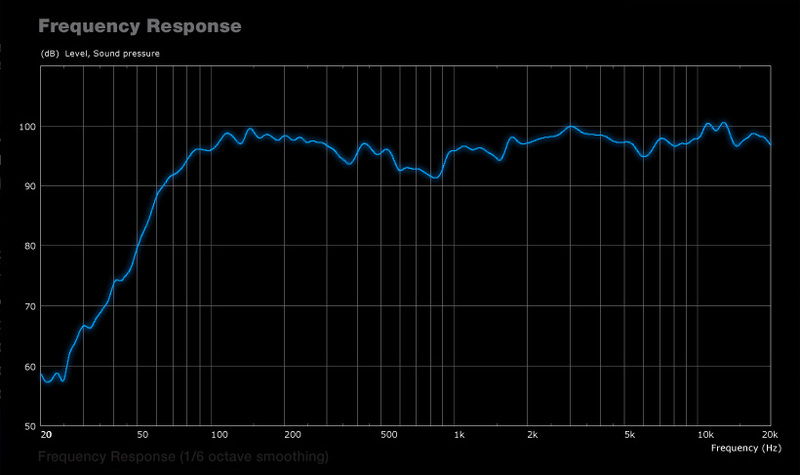 The result is a speaker that sounds much bigger than it appears. 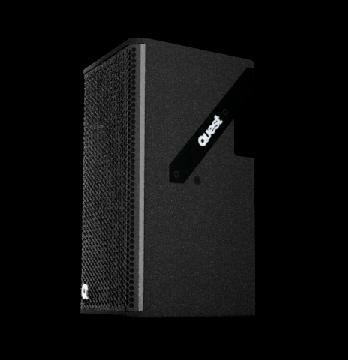 This is highly beneficial when sightlines and venue architectural requirement demand discrete low profile audio and high output. To see the full range of available rigging & ordering options check the HPI Rigging Reference page. The 90 degree wave-guide has a horizontal dispersion of 90 degrees at the base of the flare and 45 degrees at the top. Vertical dispersion is 15 degrees above horizontal and 45 degrees below. This effectively gives a wide HF energy dispersion in a close fill application and beams to the far field. 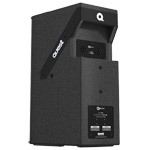 Great for eliminating “hot spots” close to the speaker while still delivering great projection across a large floor area. 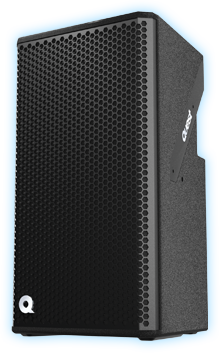 The wave guide can be rotated 90 degrees allowing for horizontal box installation and a great benefit for venues with low ceilings that previously would have required delay speakers to achieve the coverage. The HPI8i casing is birch ply and threaded inserts for installation in a number of options. 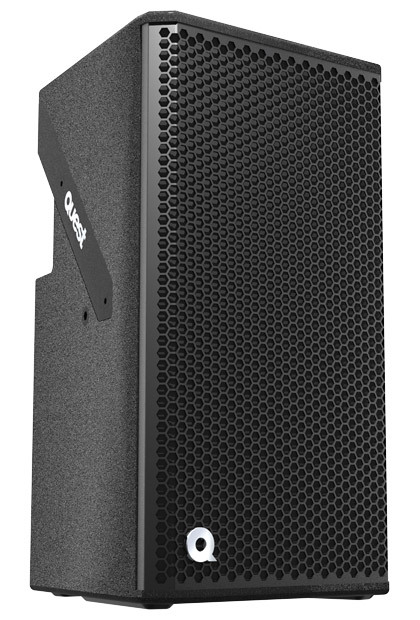 The parallel speaker inputs are recessed to aid in a tidy installation and the casing also has a convenient carry handle and tough steel grill. Rigging options include the QR2 pan tilt wall bracket with an optional HPI8i installation spine or pole mount option through the 35mm pole hole. A U bracket is also available (WBHPI8i) for horizontal installation. The HPI8i can take serious power for it's size. 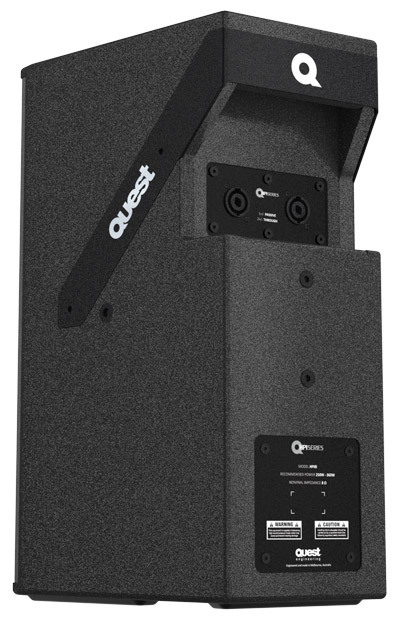 Quest Engineering recommends an amplifier capable of delivering 320-500W (nominal) to ensure full performance. 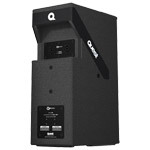 The perfect solution are Quest's QM1000P, QA1004, QA2004 or the new QX4500. Rec Amplifier 320 - 500W Nom. Feel free to get in touch with your nearest distributor. We’re always happy to hear from people interested in our products and we’re always ready to help you with your next project. You can find your nearest Quest distributor on the map below. For general enquiries email Quest Directly using the enquiry form below.